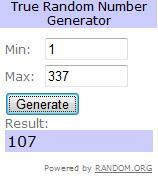 Winner of the 6,000 fan giveaway!!! You have 24 hours to claim your prize! Please email me at [email protected]. If the prize isn’t claimed by 1:30pm EST on Thursday July 7th, then a new winner will be chosen! Thank you ALL for participating! Stay tuned for a wedding giveaway at the end of July, and a 7,000 fan giveaway when I get there! I hope you stick around and show some love to these amazing vendors who graciously donated to the giveaway!